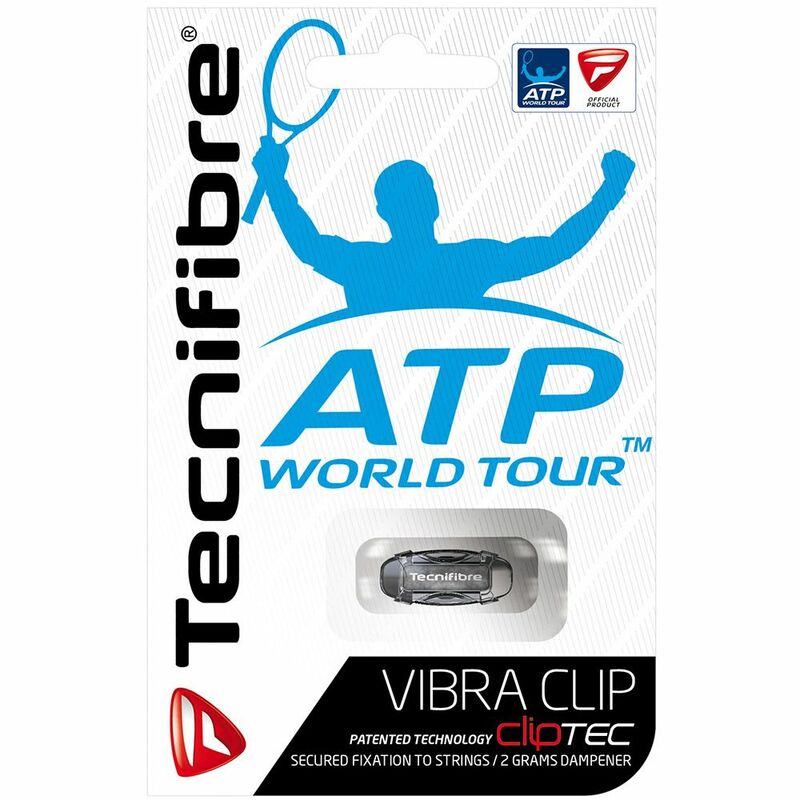 The Tecnifibre ATP vibra clip is designed to dampen unwanted vibration and never falls off your strings. This ultimate solution for string breakers is lightweight and offers a patented ClipTec system. In addition, it comes in a black colour. for submitting product information about Tecnifibre ATP Vibra Clip Dampener We aim to answer all questions within 2-3 days. for submitting product information about Tecnifibre ATP Vibra Clip Dampener. We aim to answer all questions within 2-3 days. If you provided your name and email address, we will email you as soon as the answer is published. for submitting product review about Tecnifibre ATP Vibra Clip Dampener.